HUTCHINSON, Kan. (AP) — Three Kansas State Fair employees are facing charges after allegedly selling fair gate tickets for their own profit. 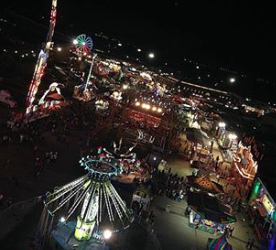 The employees were arrested Tuesday and accused of approaching people who were walking toward the fair, selling them tickets and keeping the money for themselves. Two of the men, Leeon Virgil Gould Jr., and Charles Scott, both 47 and of Hutchinson, made a first court appearance Wednesday and were ordered to return next week. The third suspect, Brett Ezra Thomas, bonded out of jail and did not make his first appearance. Reno County Magistrate Judge Cheryl Allen said another fair employee reported the sales to authorities.